Nedlaw Living Wall Biofilters - the world's premier biofilter. Our systems filter the toxic soup of indoor environments and return clean air. We combine decades of building know-how and plant science expertise for long-lasting solutions. Our technology is founded on decades of biofiltration research. Adding ‘green’ to interiors is commonplace. 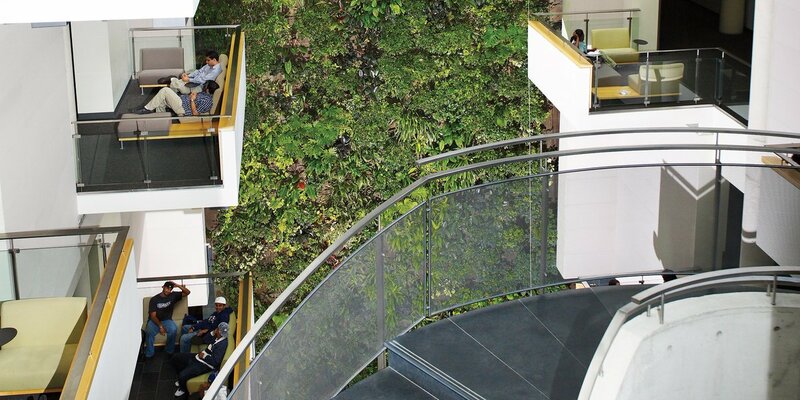 Nedlaw eclipses the industry by truly integrating ecosystems into the built environment. We design each living wall biofilter system for its unique space and objectives. Properly maintained, our biofilter technology doesn’t expire. We’re debunking plant wall myths.